I have heard about Dia de los Muertos many times (and learned more about it from Coco of course!) but never really knew too much about it other than the Sugar Skulls that are so well known. 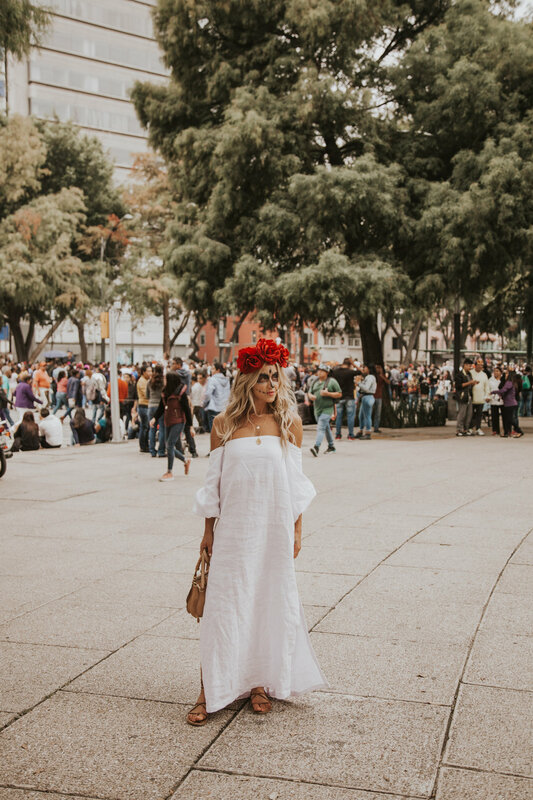 Traveling to Mexico City for the week of the Dia de los Muertos Celebrations was such a wonderful experience, and I learned so much! The holiday takes place between October 31 & November 2 and is about remembering and honouring the dead. What I love most about this holiday is that it is about celebrating those who we have lost- celebrating their lives and honouring their memories. The most significant part of the holiday is the building of the Altars - People put together beautiful Altars filled with flowers and photos of those who they have lost from their families, and then they fill the altar with items that remind them of those people - From their favourite food items to their favourite flower, items that they loved are added to each individual altar. There are parades & celebrations for Day of The Dead, but did you know that the big parade in Mexico City only started after the famous scene in James Bond got so popular? It has been going for 3 years now, and we got to watch it, but it was kind of sad that the tradition of the parade only started after a movie. What was very special for us is that we got to travel to Oaxaca where parades have always been a part of the culture, so we got to experience that, and, we got to experience the very cool tradition that is visiting the graveyard to celebrate loved ones on the night of the 31 when it is believed their spirits visit their old homes, so you are supposed to leave the home open for them and spend the night at the graveyard bringing them some of their favourite items, laying candles and flowers on their grave and sitting with family and friends remembering those you lost. This is shown in the movie Coco, and it was such an unreal experience so experience -Definitely one I won’t forget anytime soon! 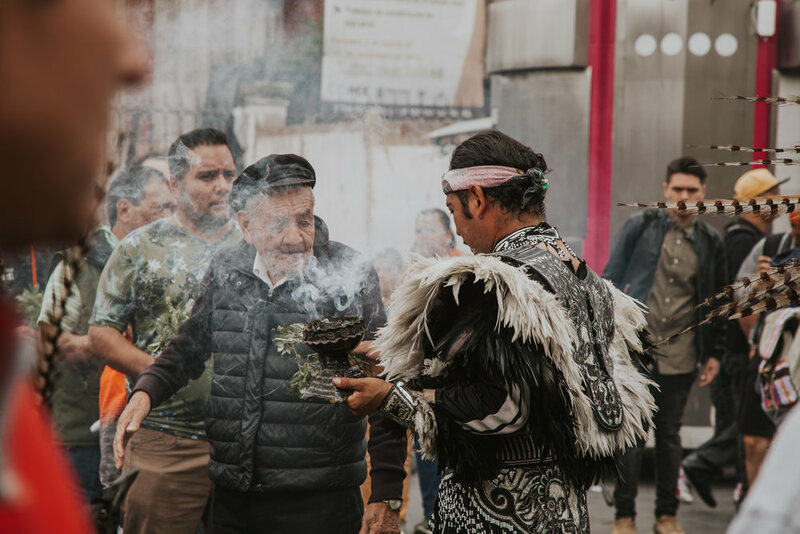 It was wonderful being in Mexico City with Mexico Tourism so that we were sure that we were only visiting those who were open to be visited, and that we were not overstepping or being inappropriate with their cultural traditions. We even got to have our own faces painted as traditional sugar skulls, it was so fun!